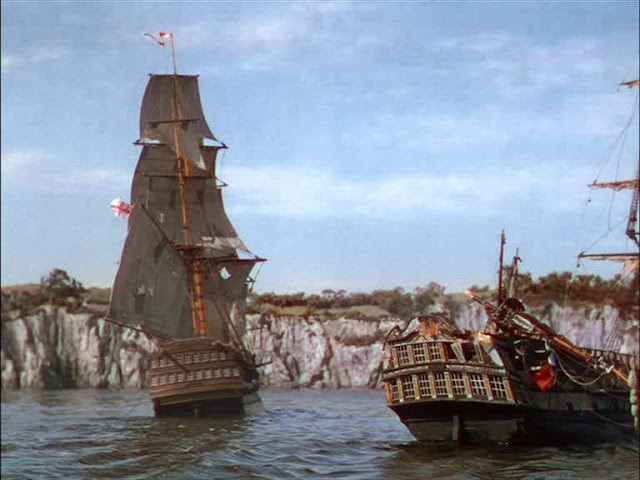 This was one of my favorite movies as a kid watching it on TV in the sixties and seventies. The really excellent miniature work captured my youthful imagination in much the same way as Jason and the Argonauts. 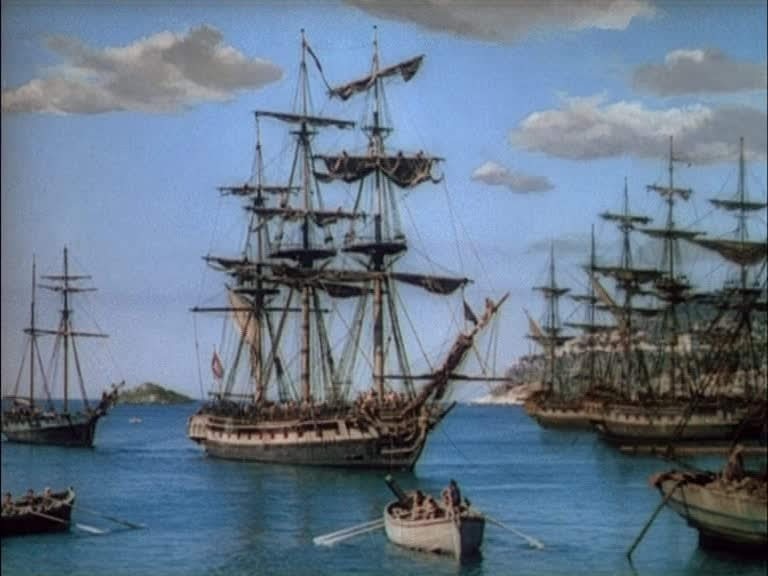 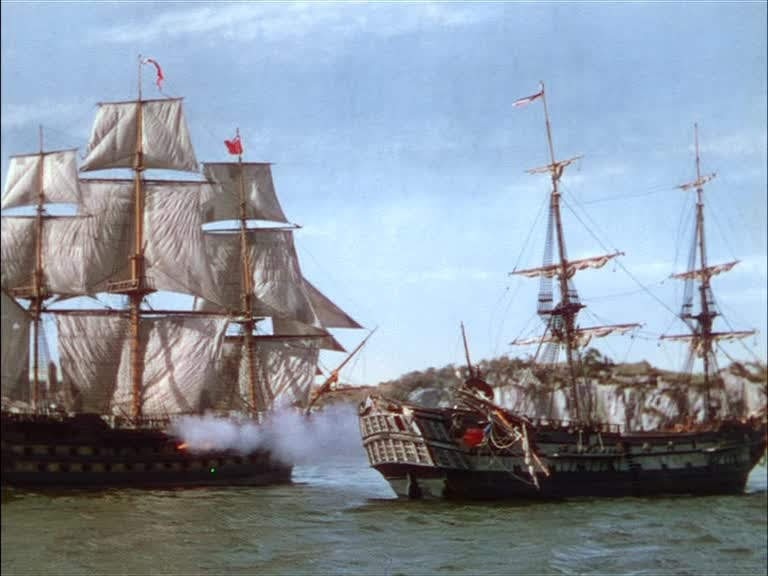 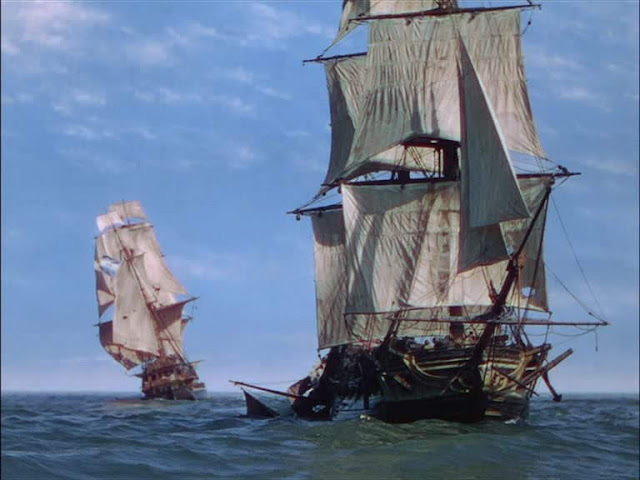 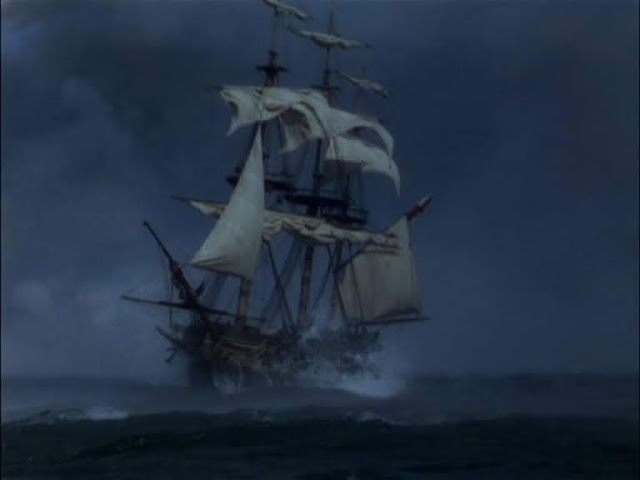 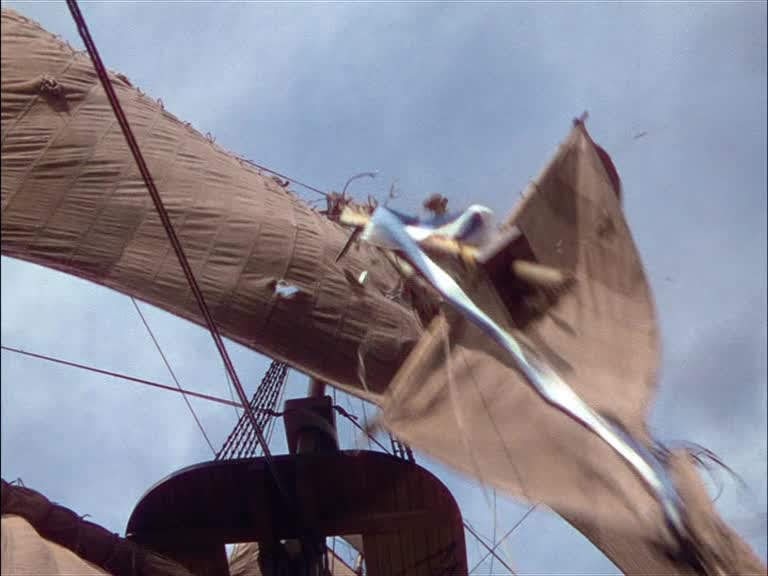 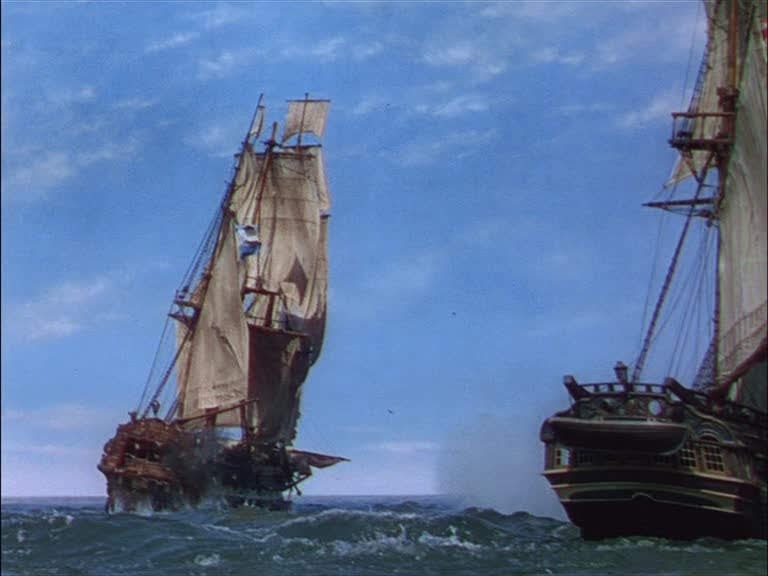 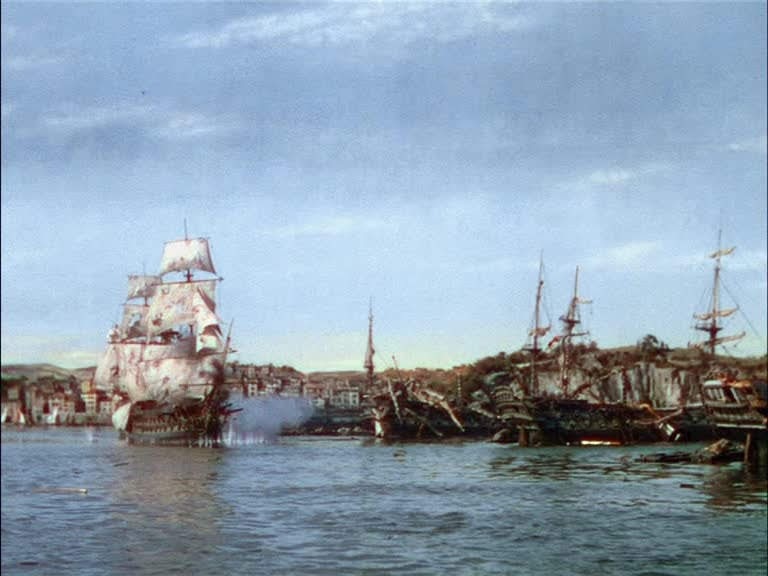 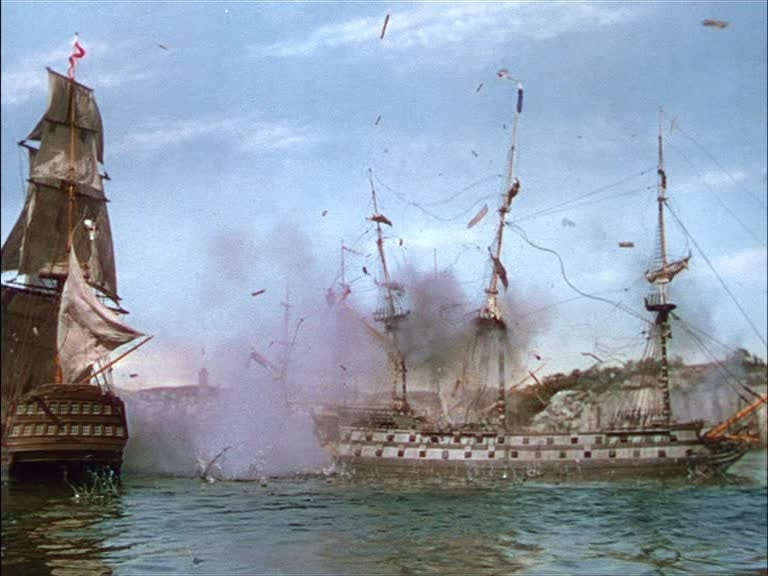 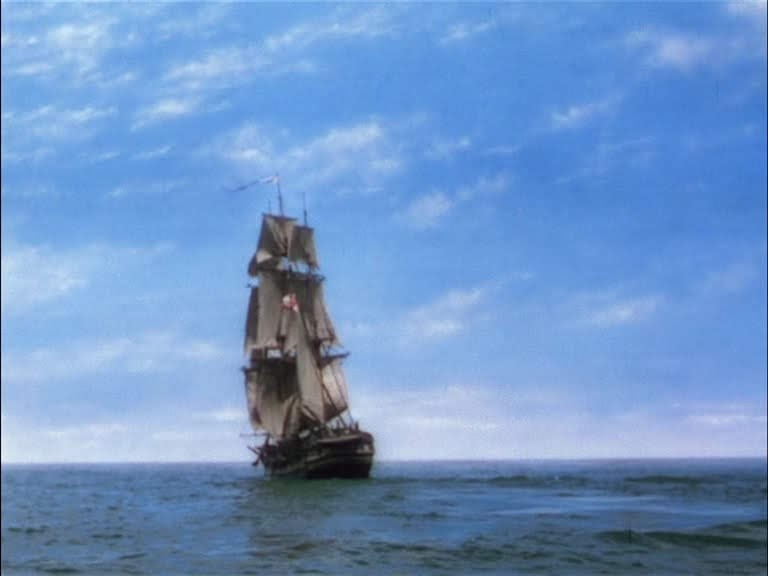 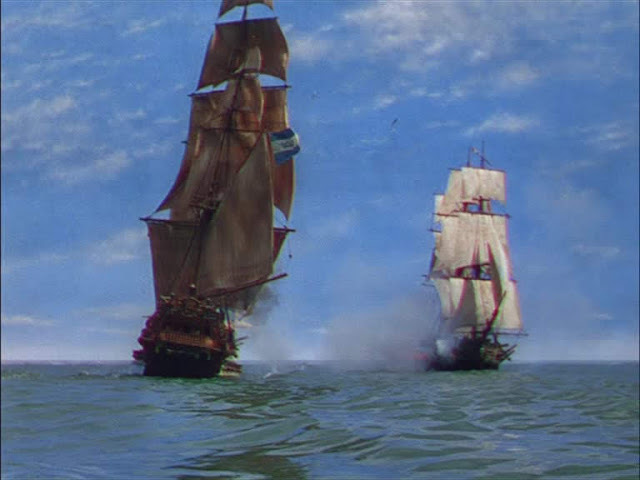 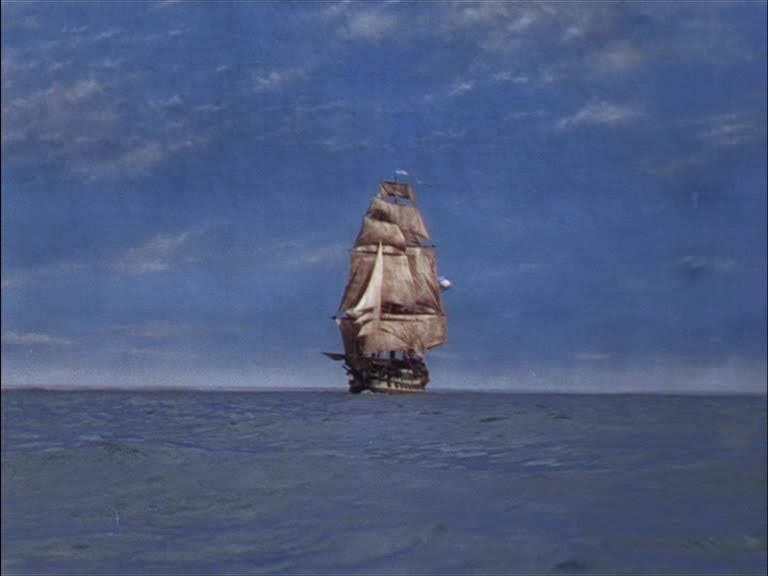 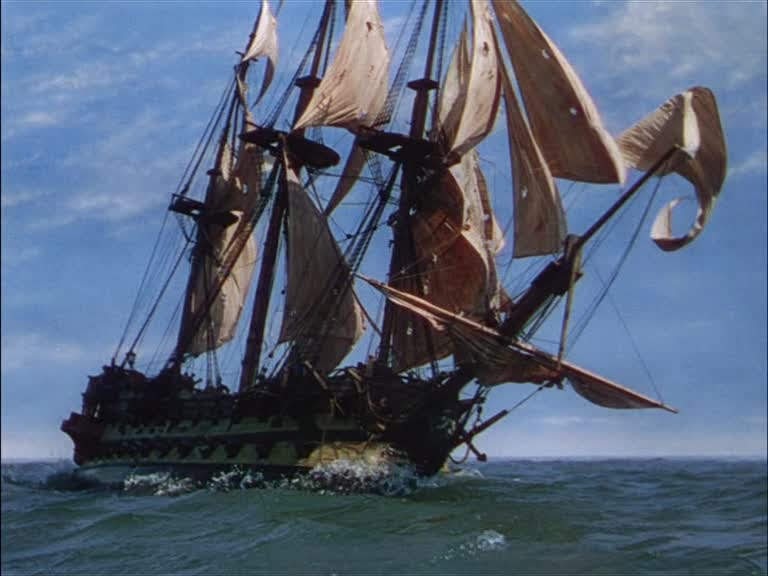 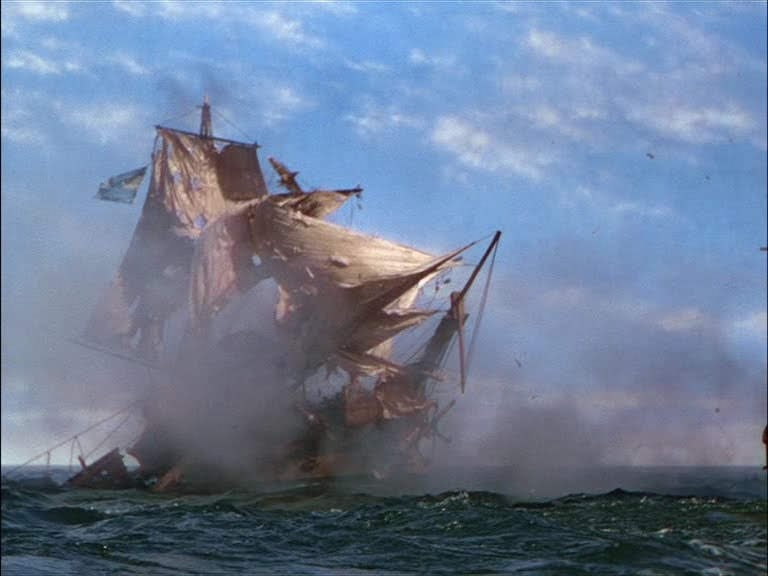 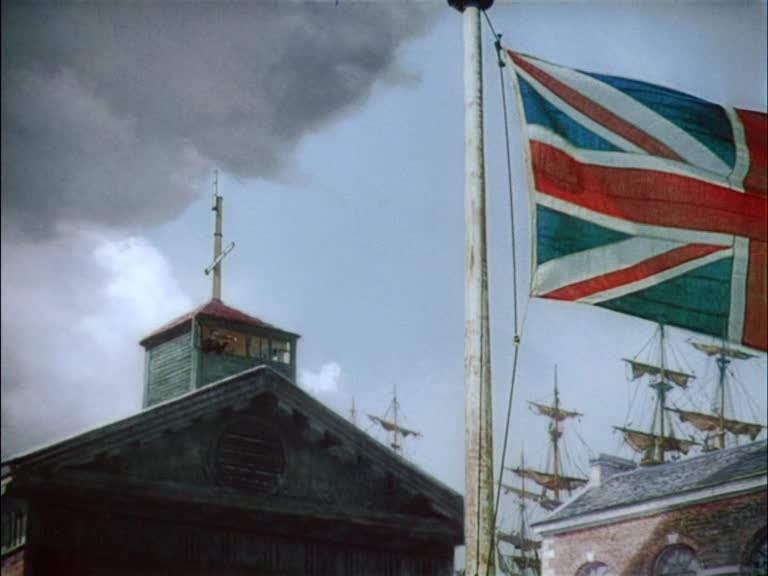 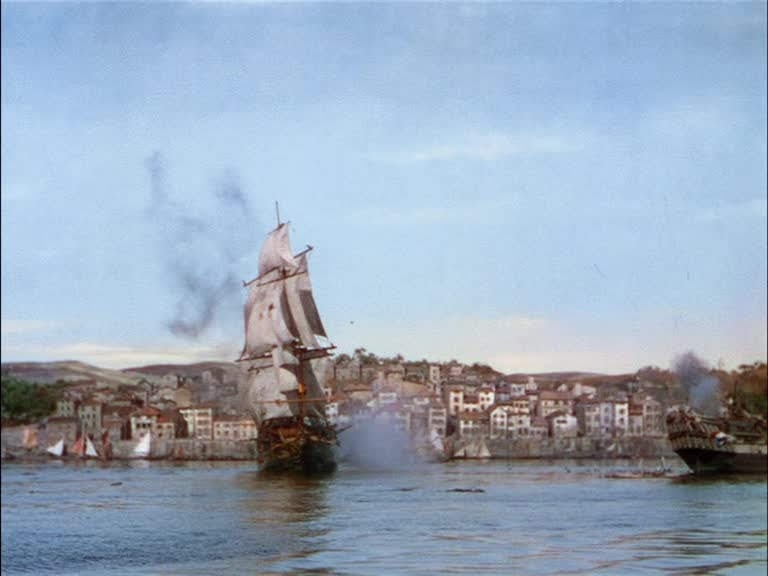 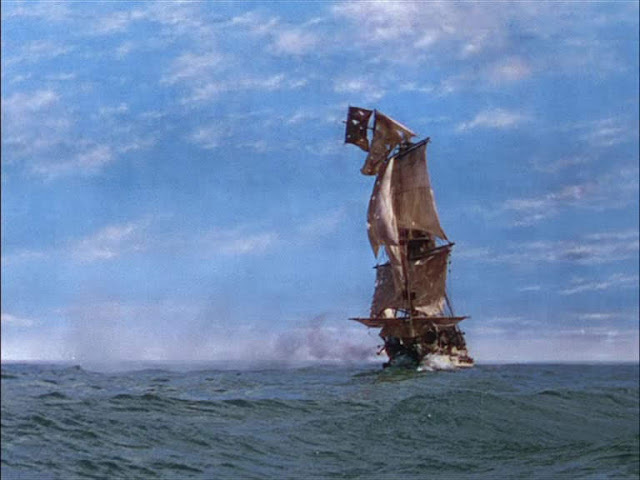 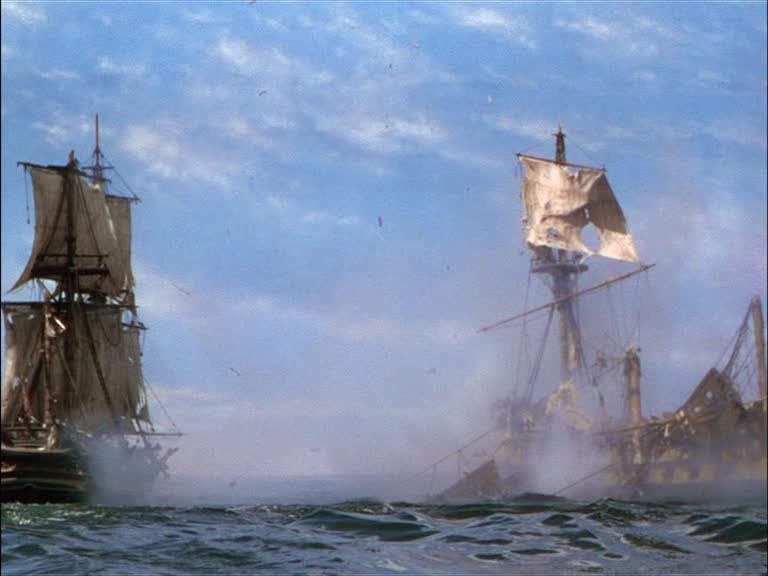 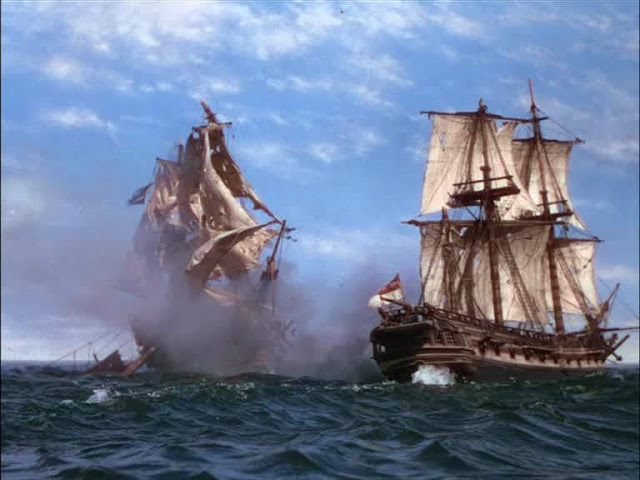 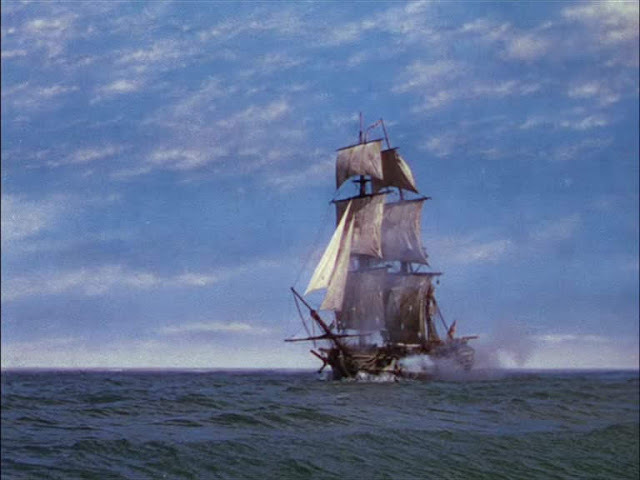 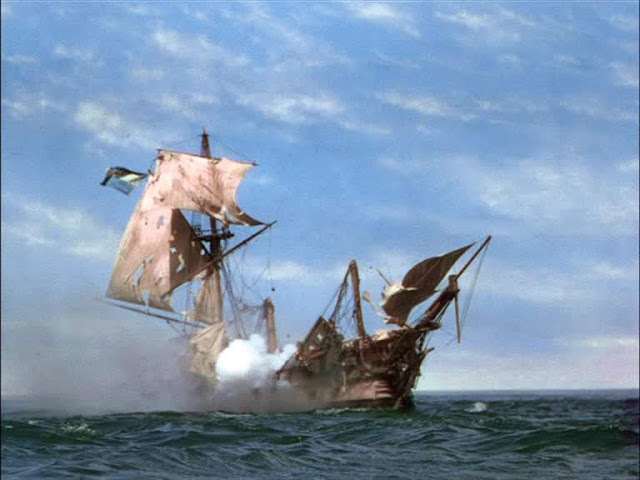 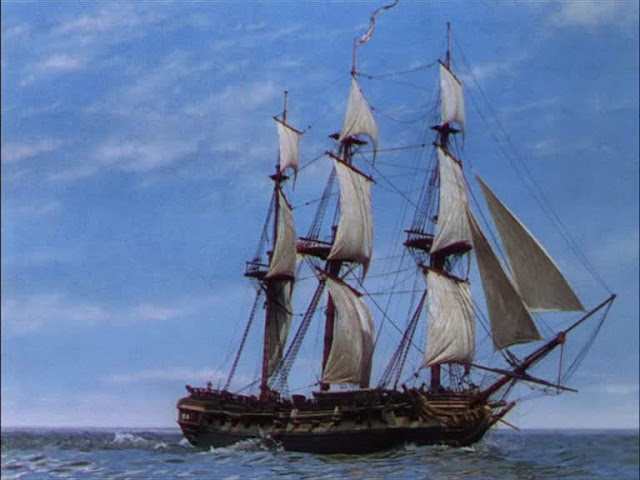 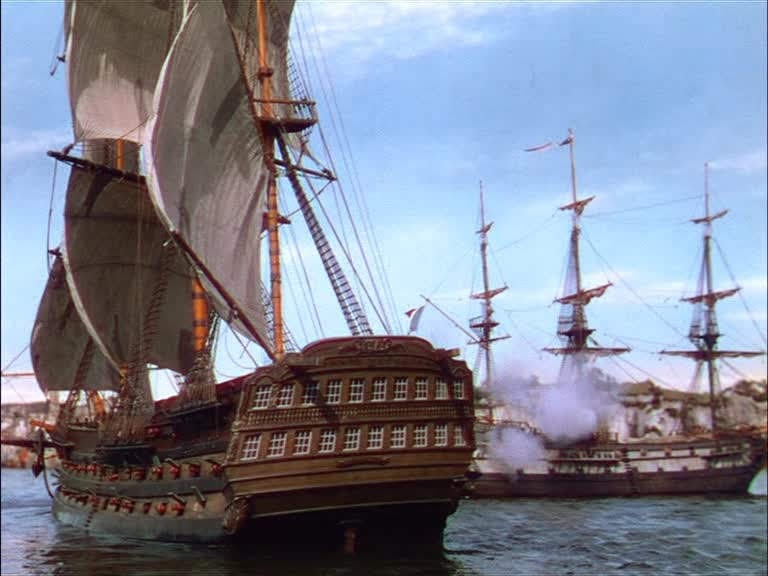 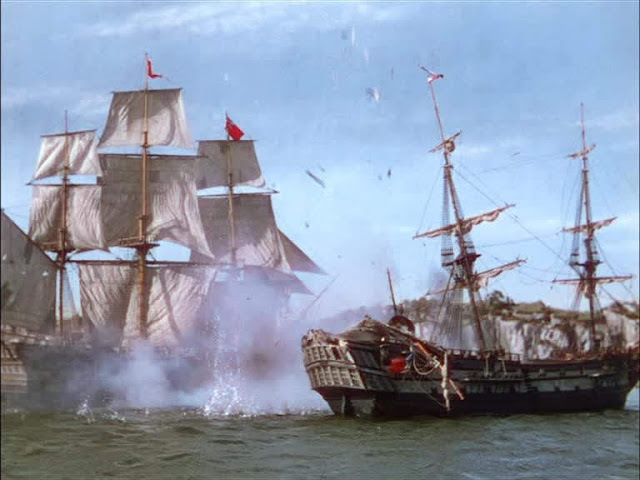 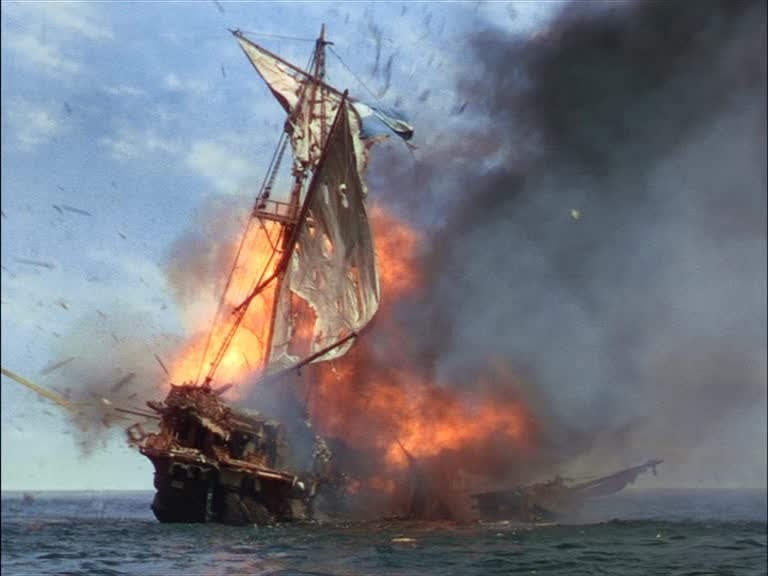 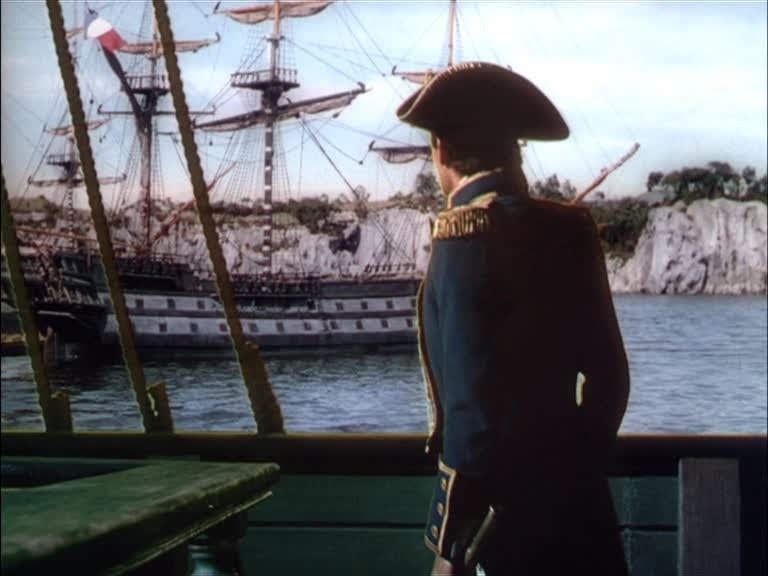 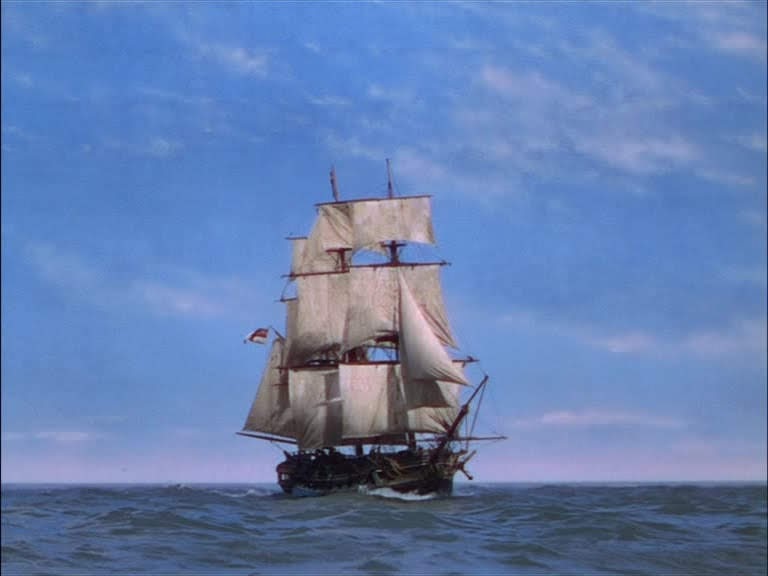 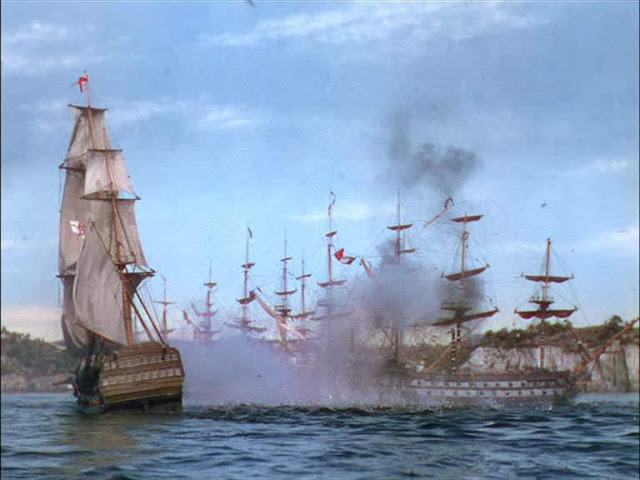 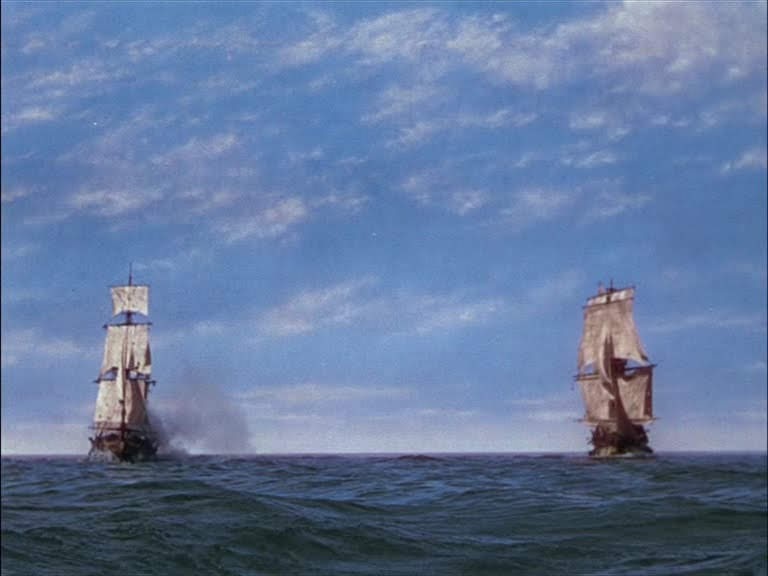 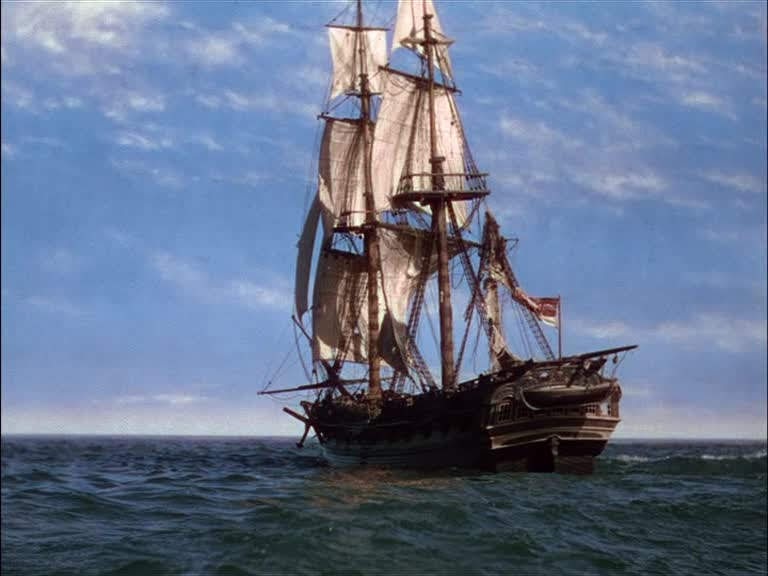 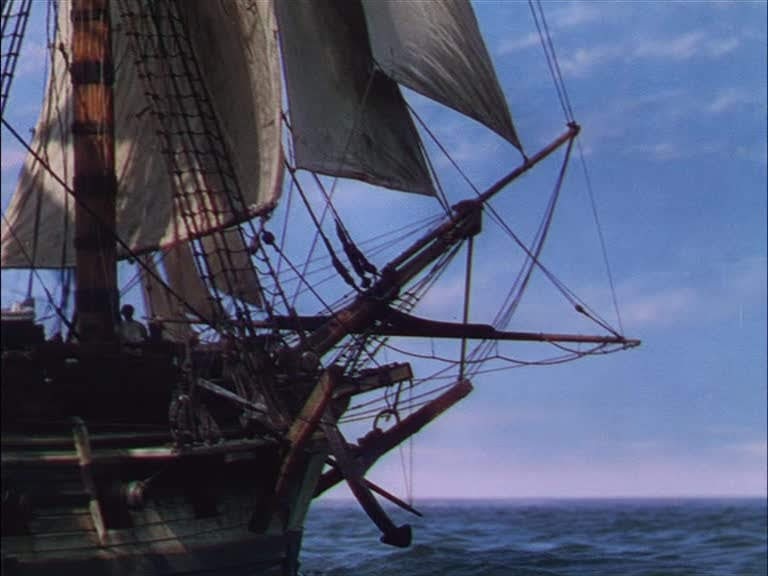 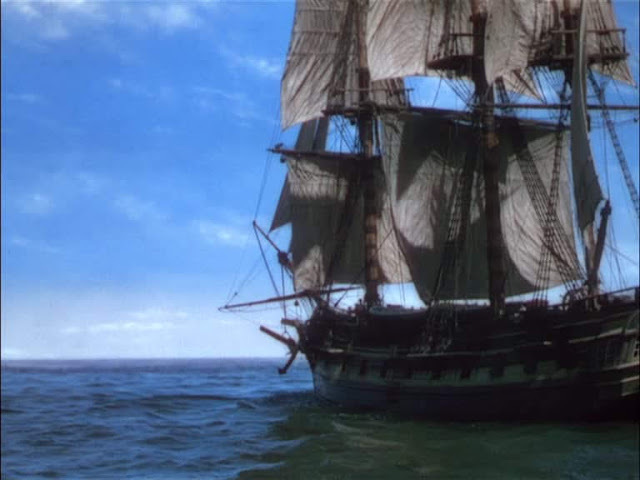 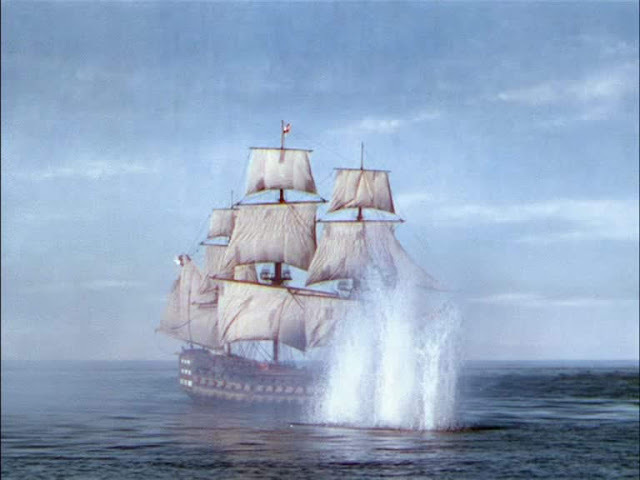 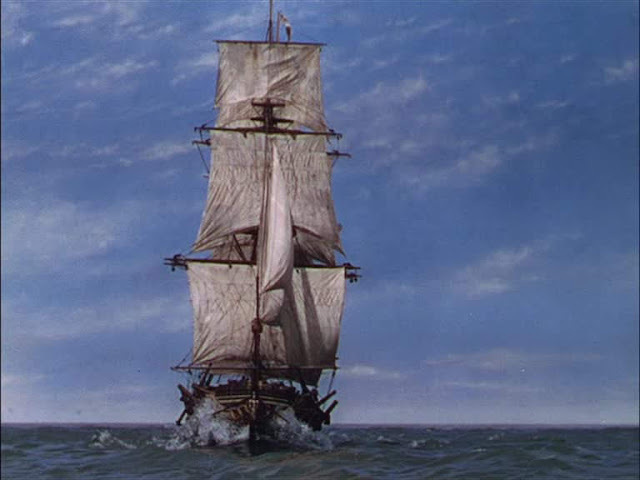 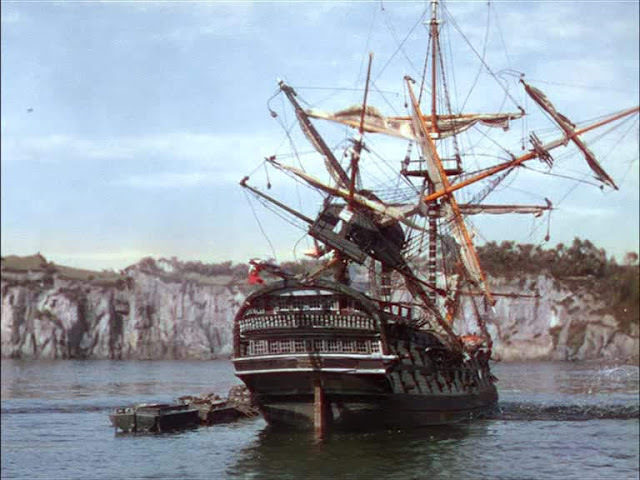 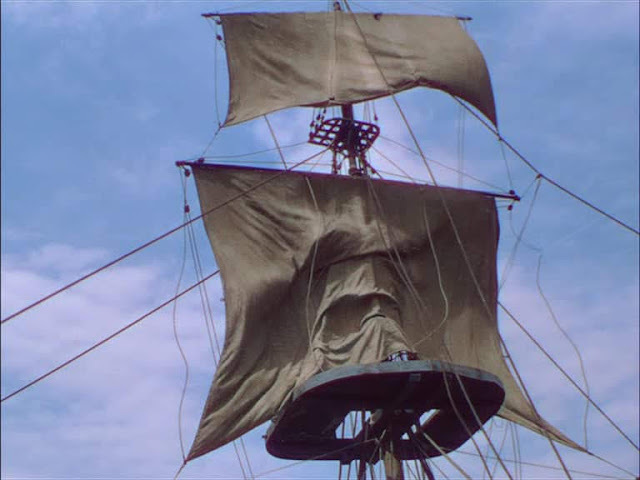 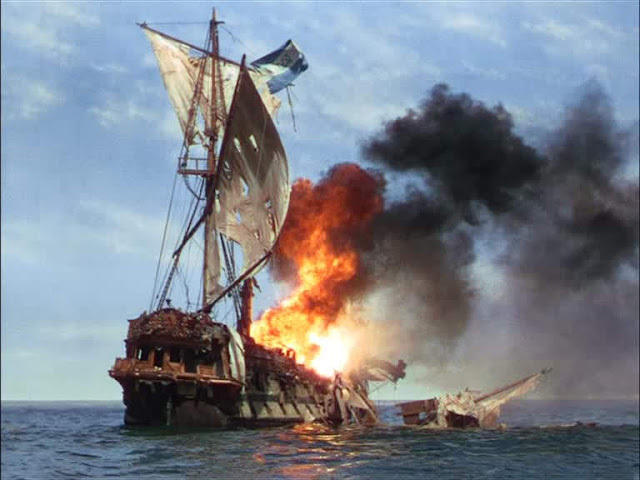 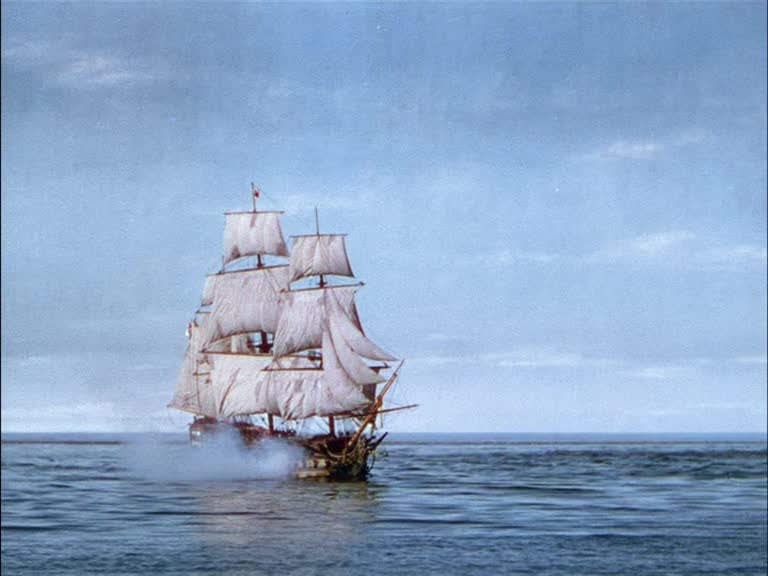 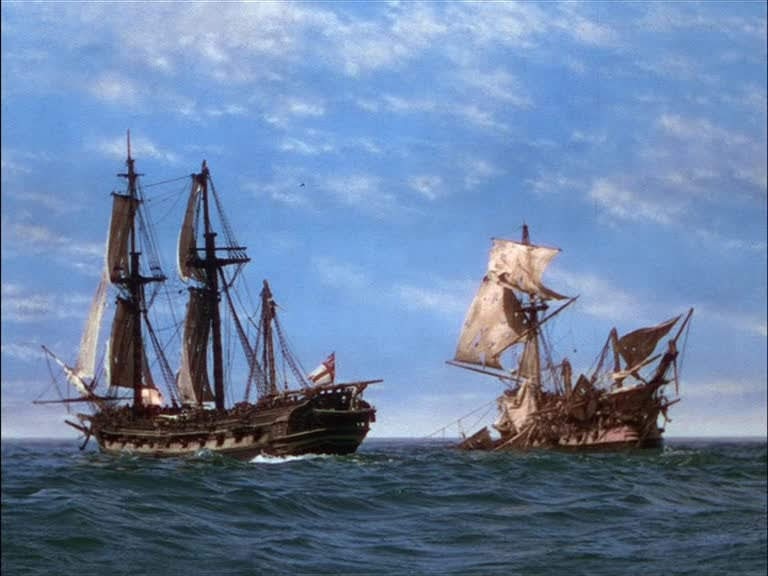 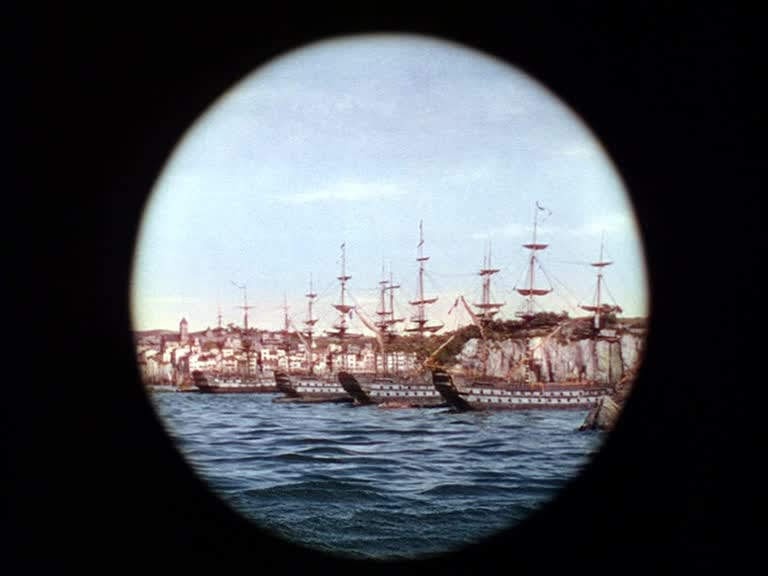 The film stands as a textbook on how to stage model ship action with really good scenes under sail and particularly under cannon fire with some really fine destructive splintering of spars and hulls. 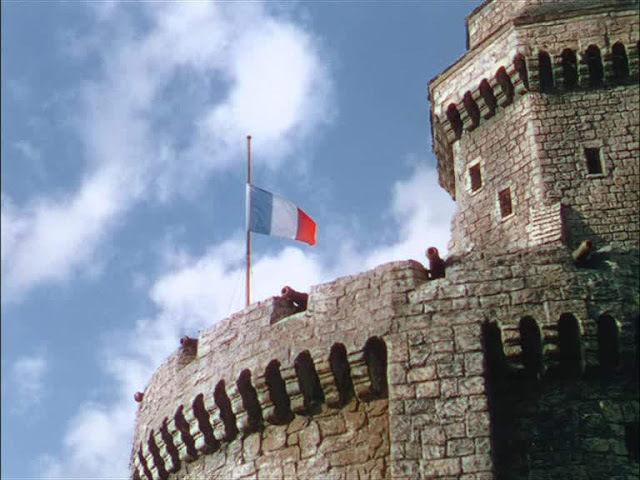 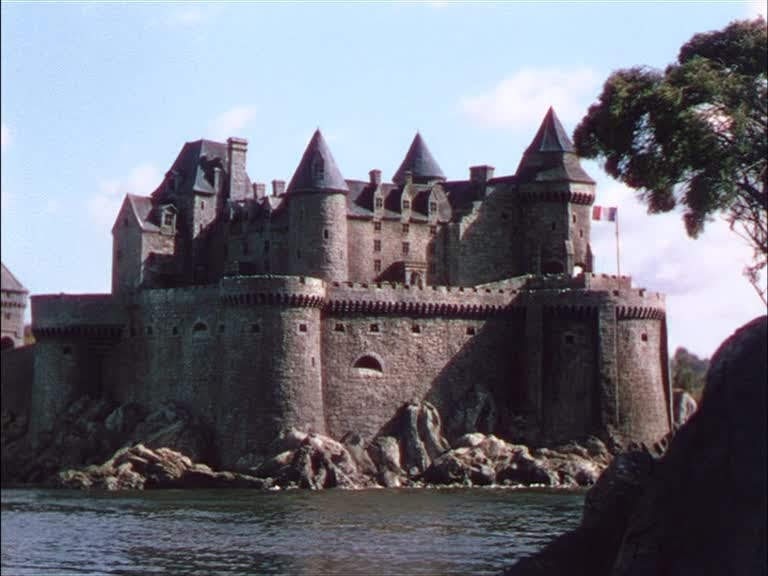 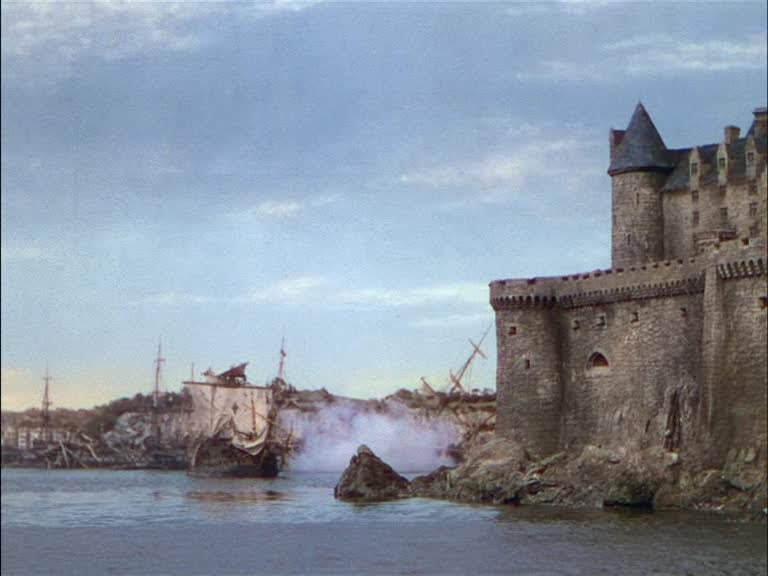 The sequence with the miniature French fortifications is particularly noteworthy. 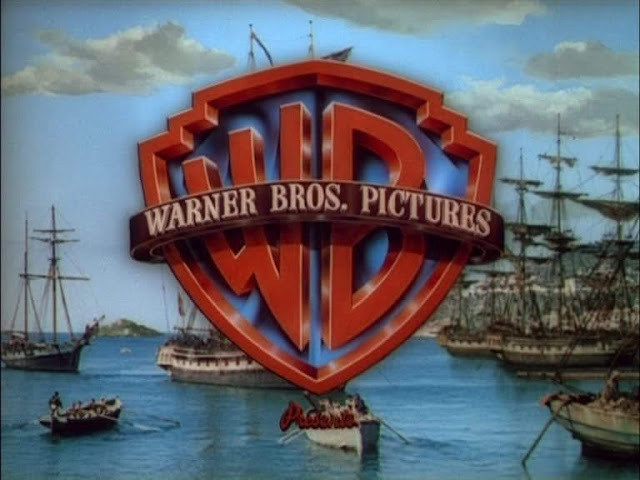 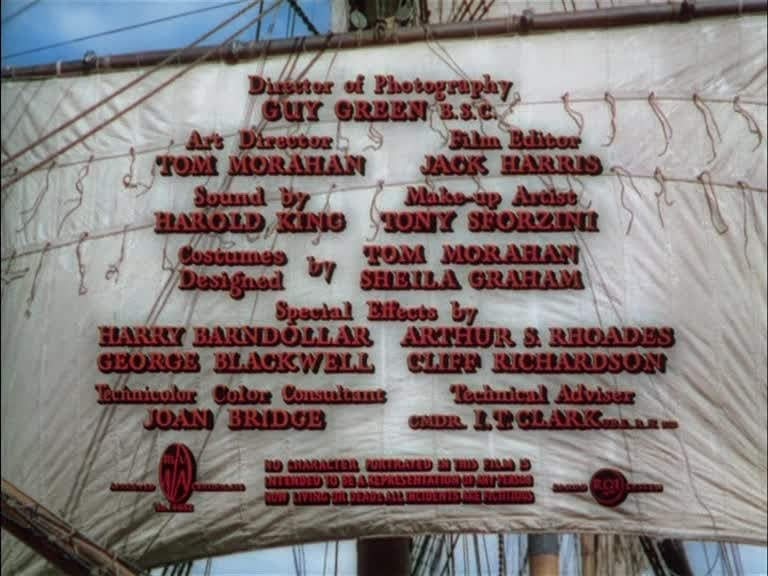 Shot in England, 4 special effects personnel are credited, Harry Barndollar, and Arthur Rhoades, both American and George Blackwell and Cliff Richardson, well known British special effects men. 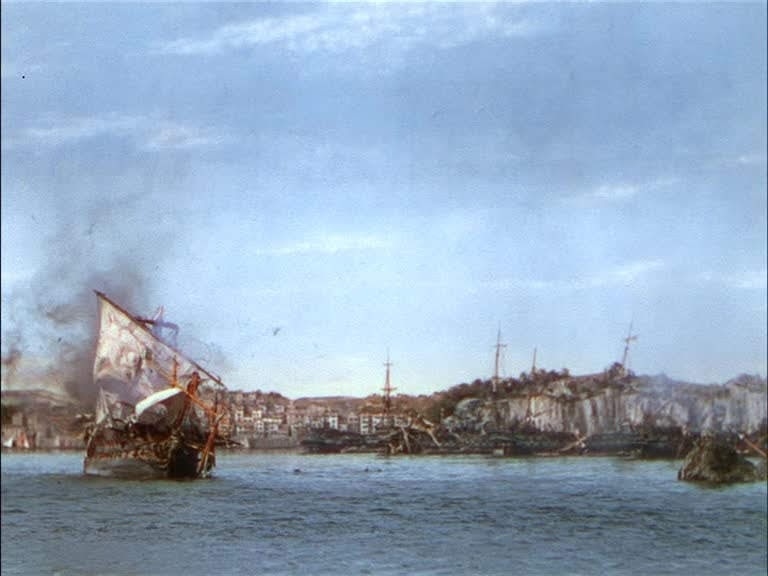 George Blackwell was the miniatures specialist of the group. 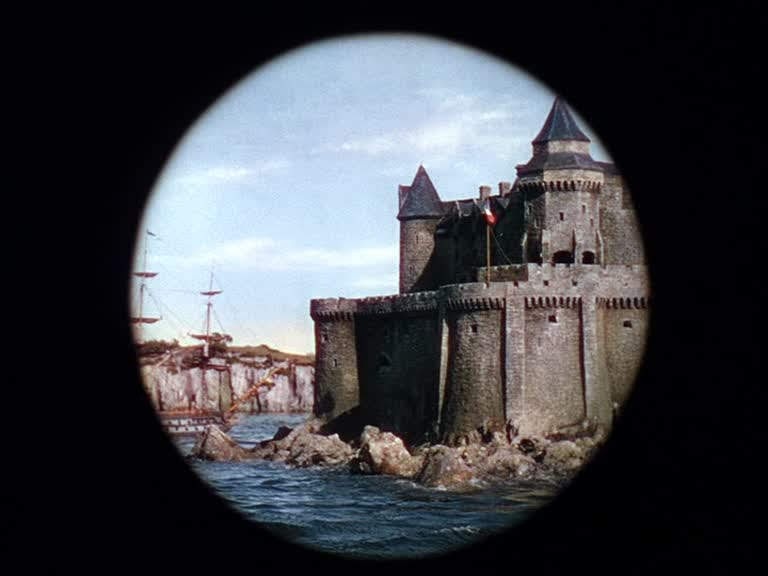 According to IMDB Peter Ellenshaw is uncredited for the matte paintings. 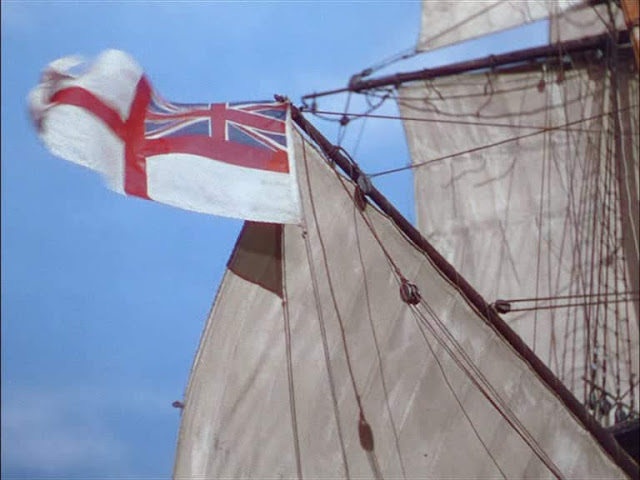 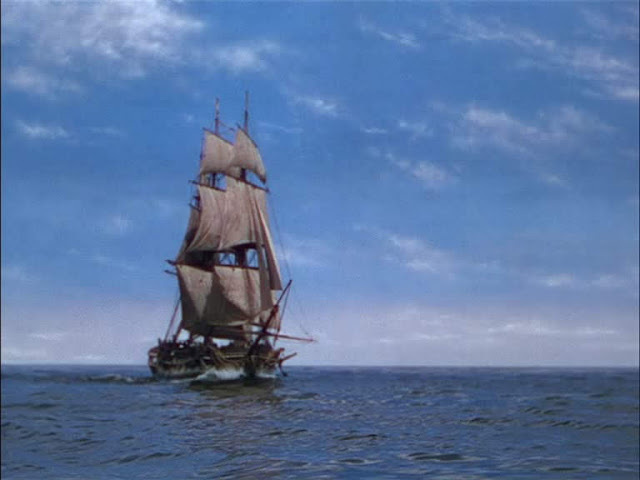 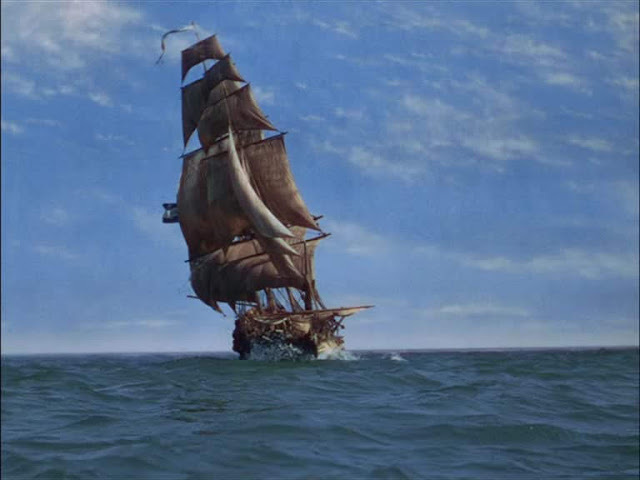 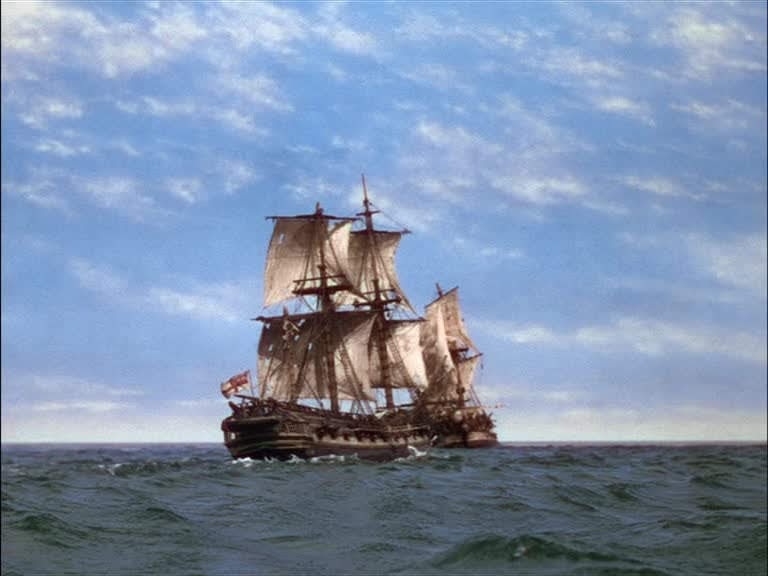 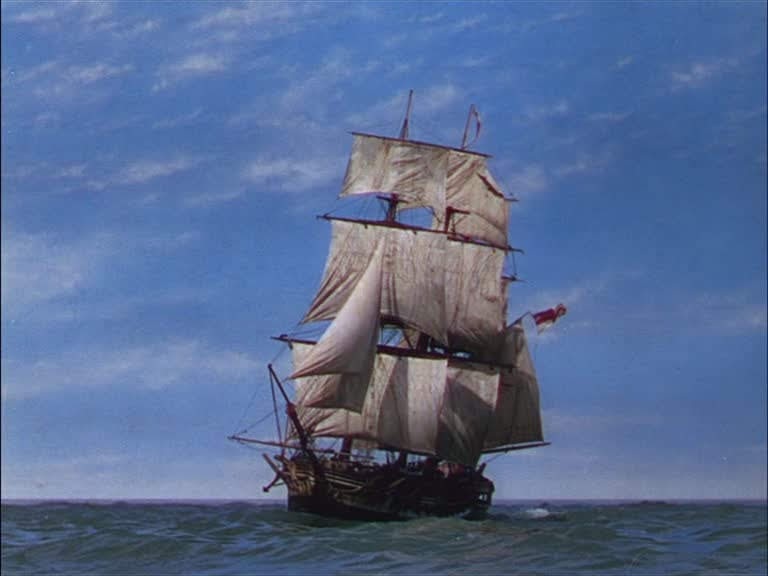 One of the best sea adventures bever filmed, 1st rate in every respect.Though Peck doesn`t seem "British" enough for the title role, film is right up there with "HMS Defiant", and "Master and Commander". 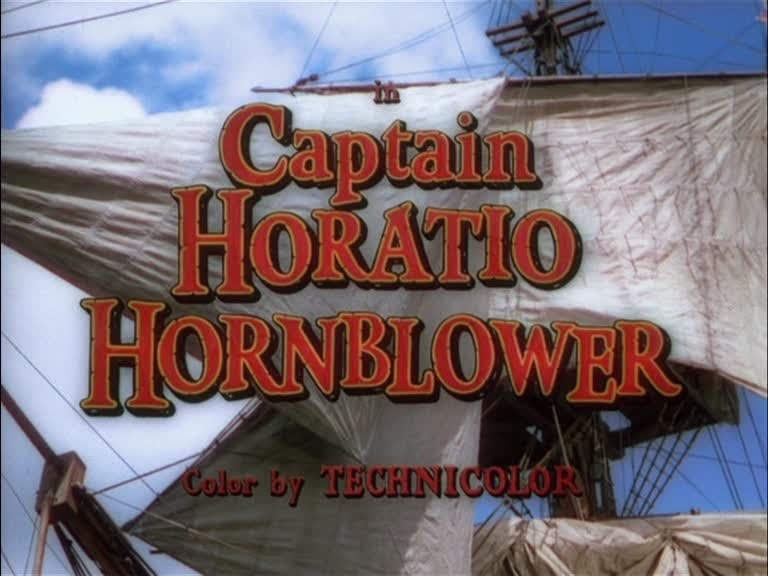 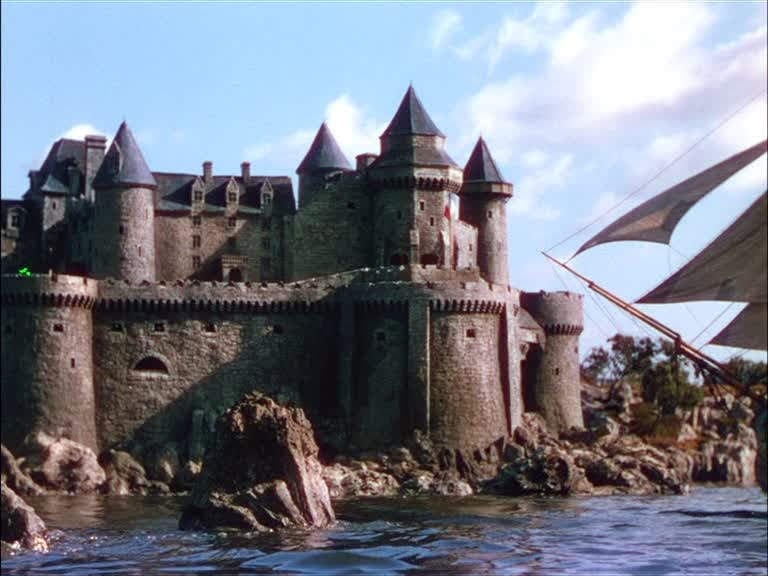 As a longtime Hornblower fan, I have to say that the model work is just about the only thing that redeems this movie from the effort to shoehorn the plot of three books into a single film. 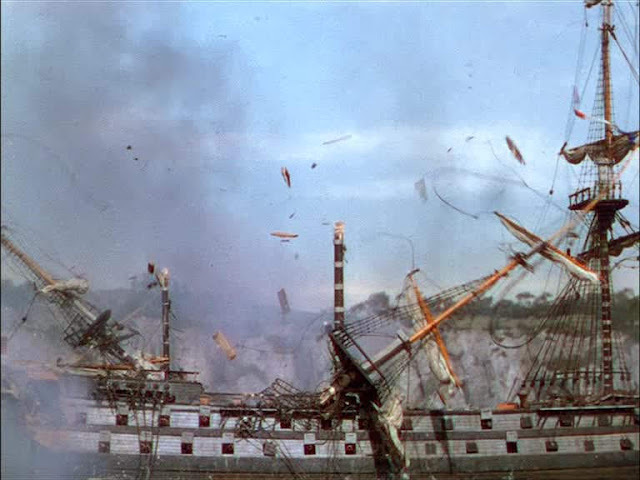 And the model work really is outstanding. The art direction in this movie is amazingly good, because it is based on meticulous research. 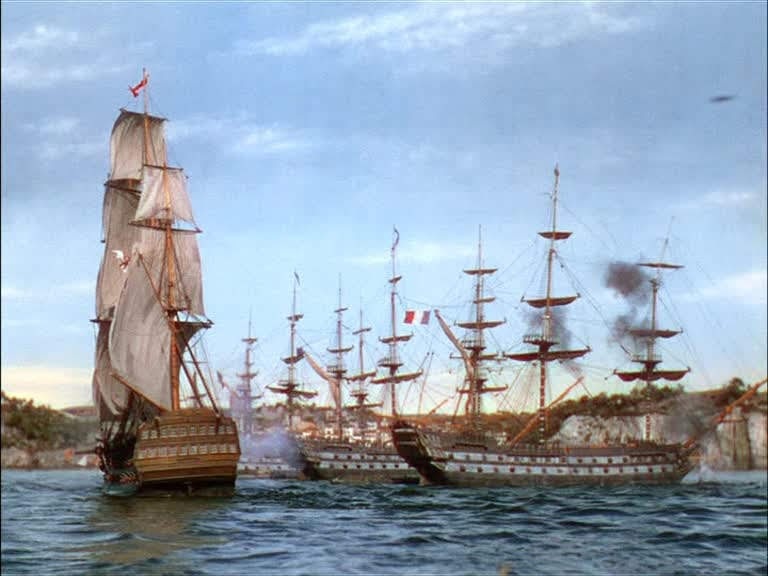 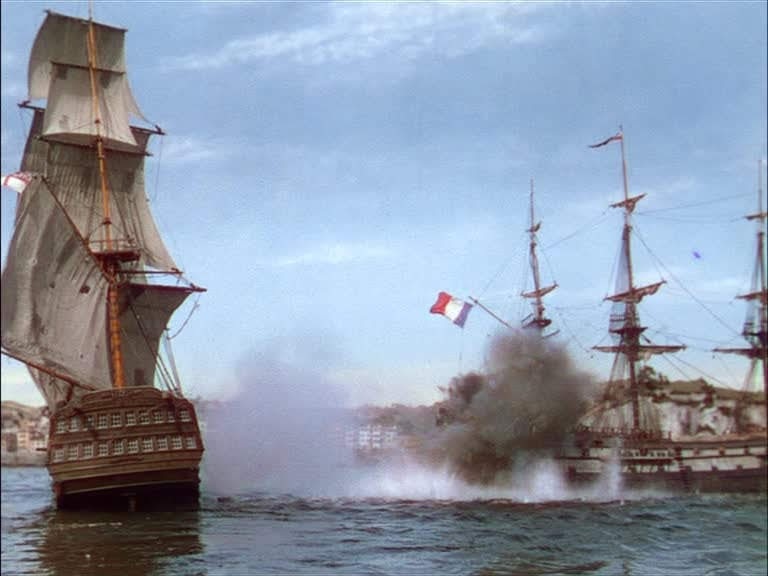 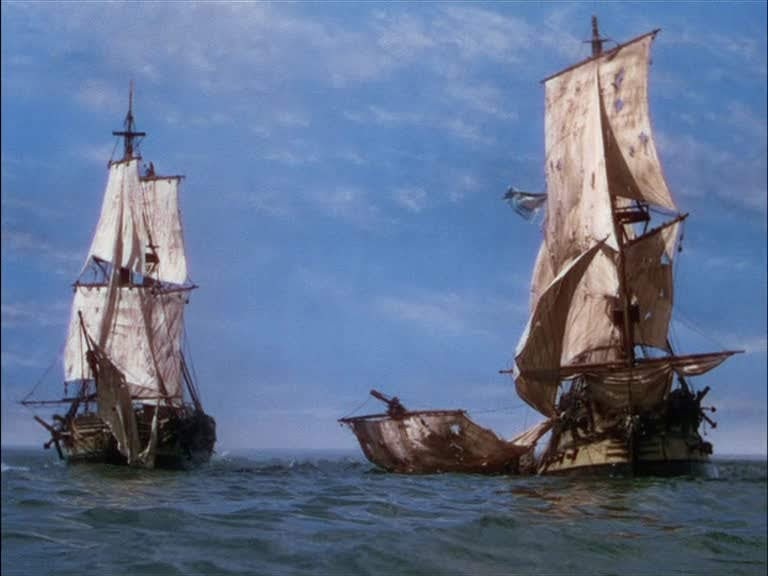 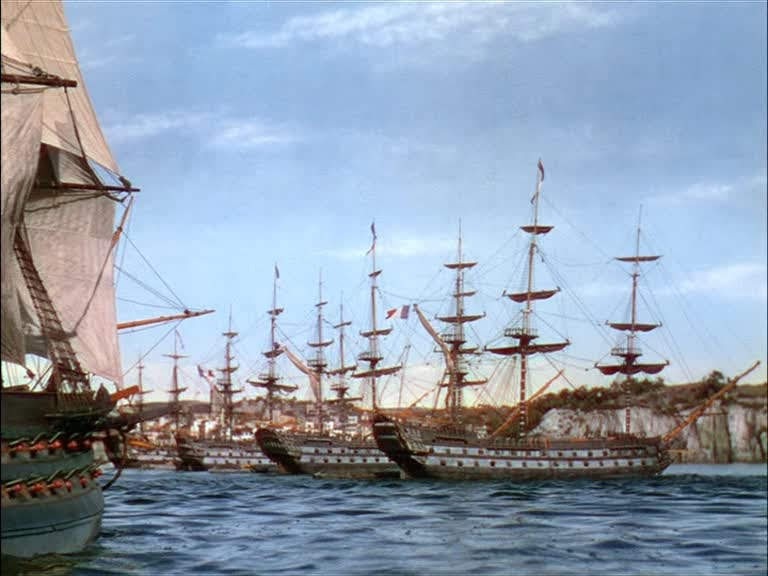 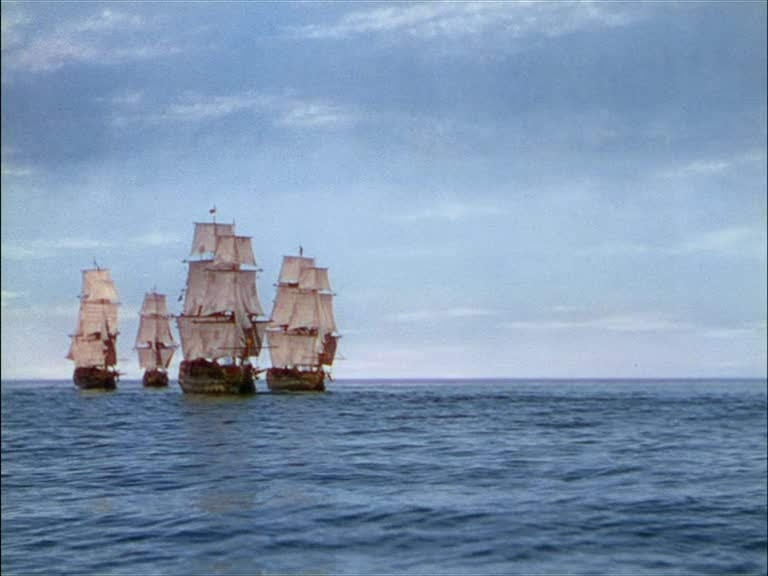 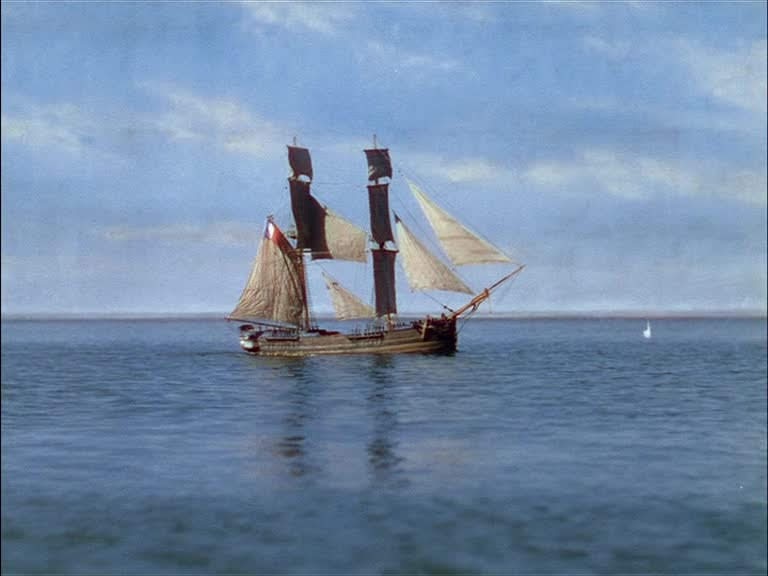 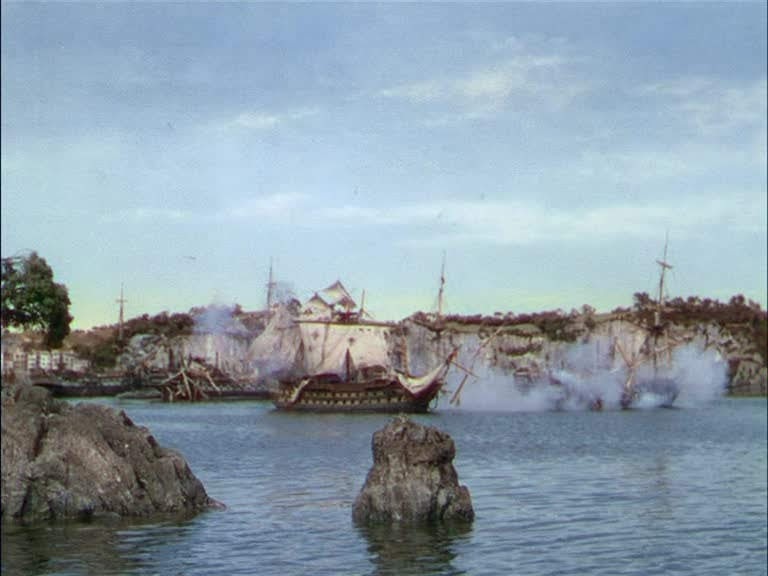 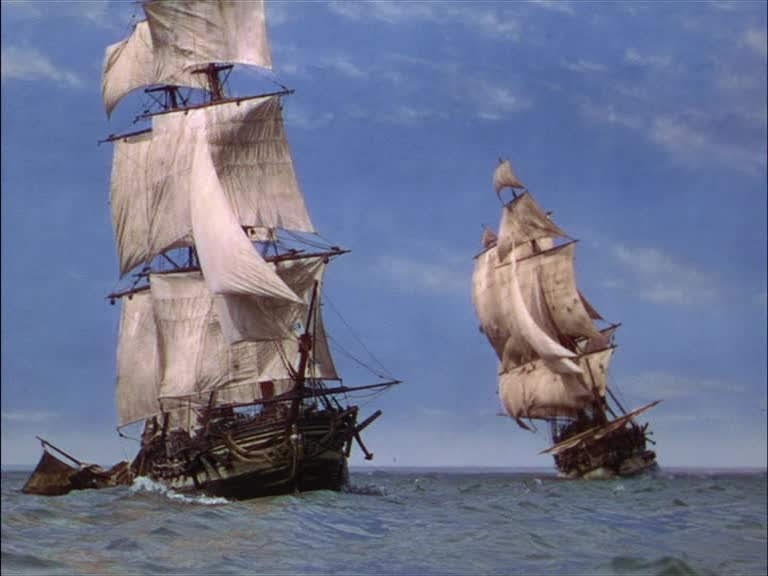 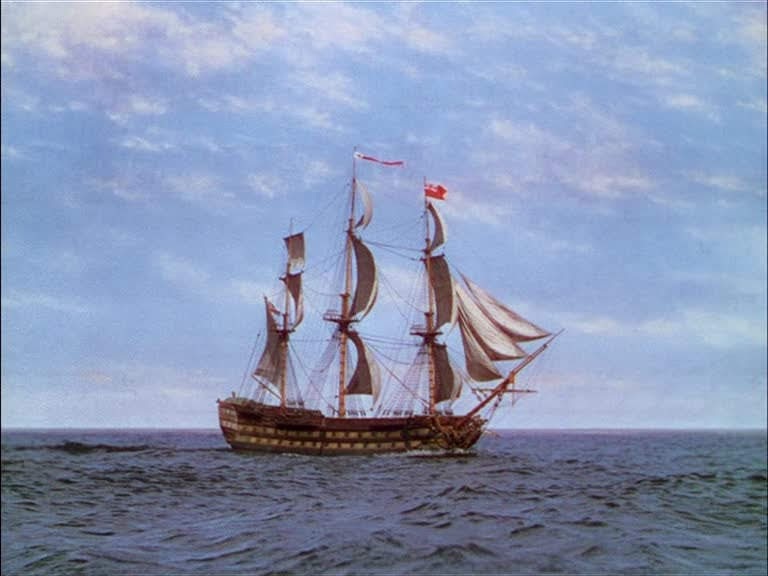 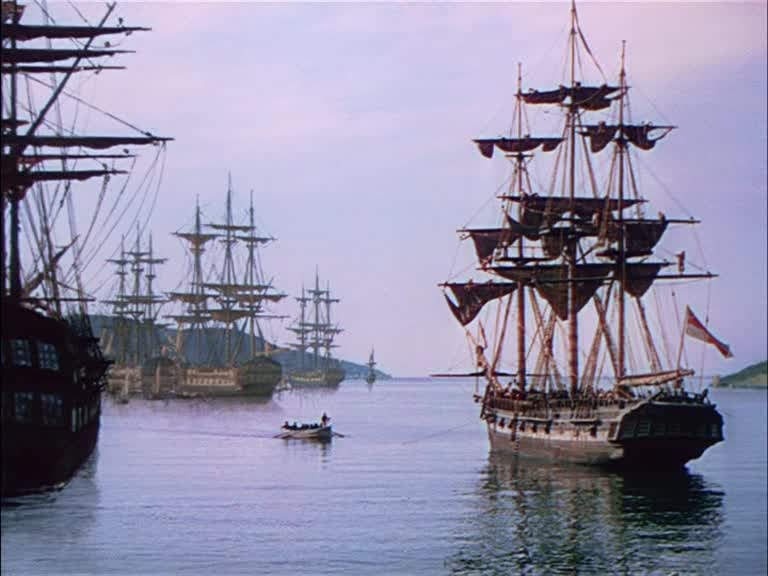 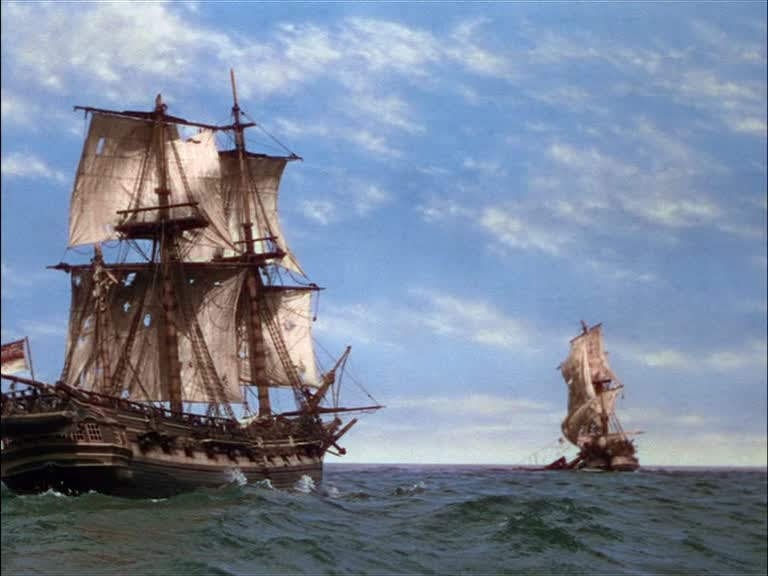 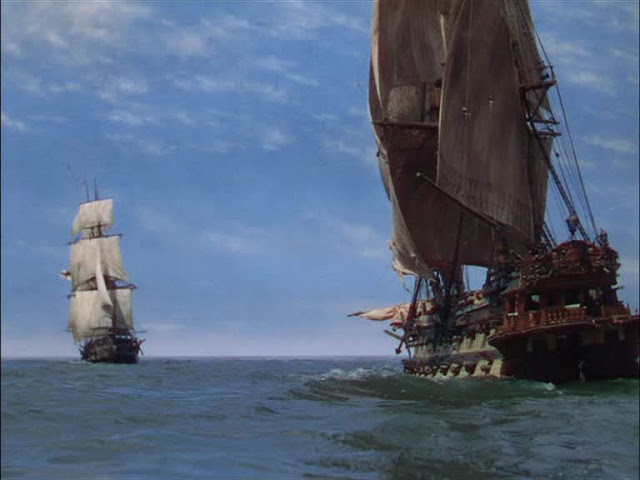 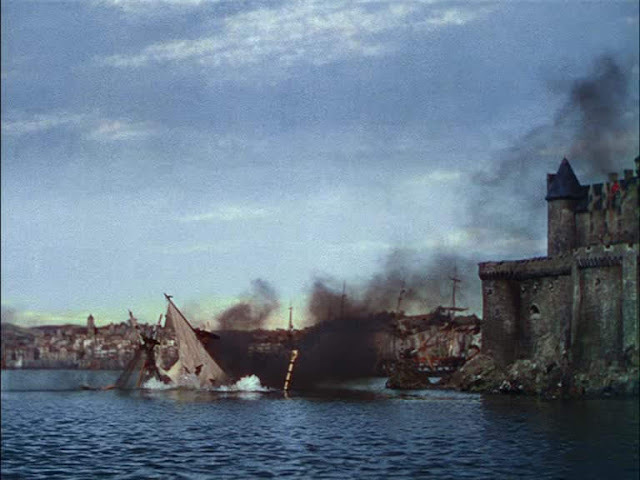 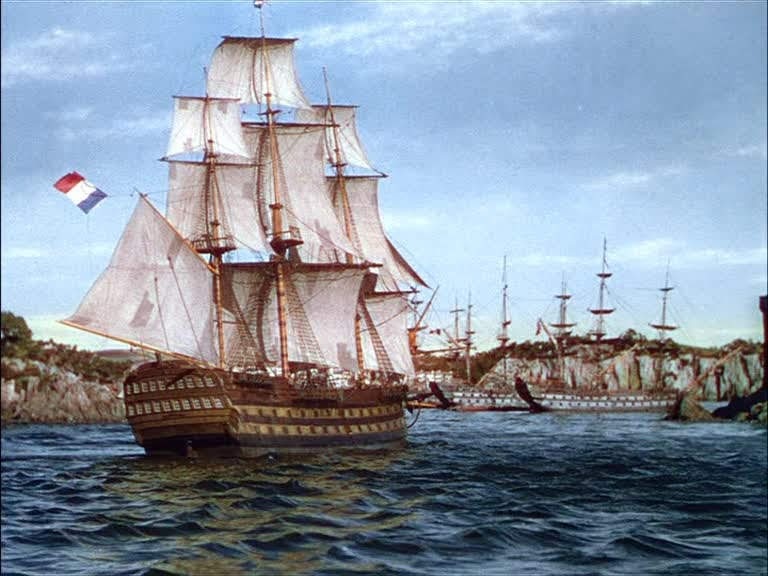 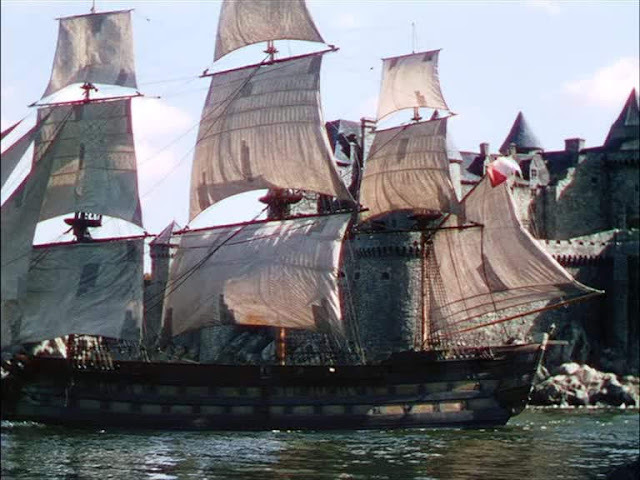 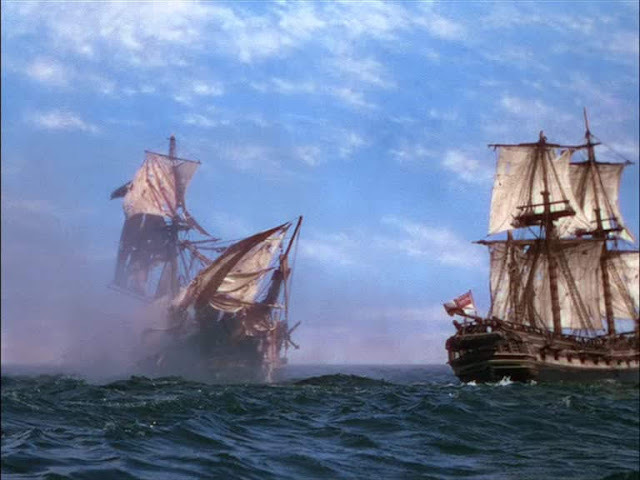 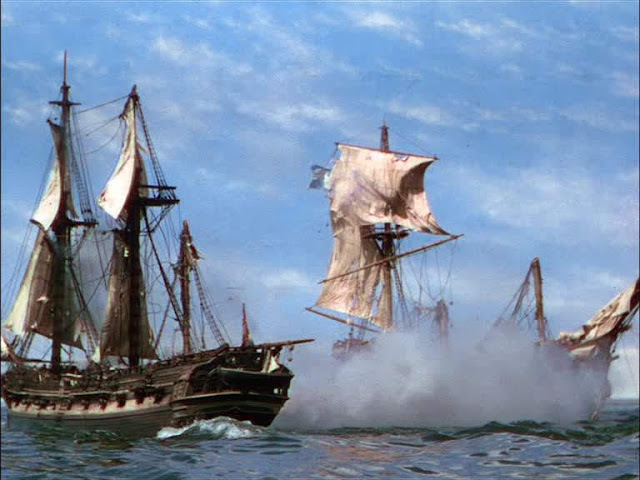 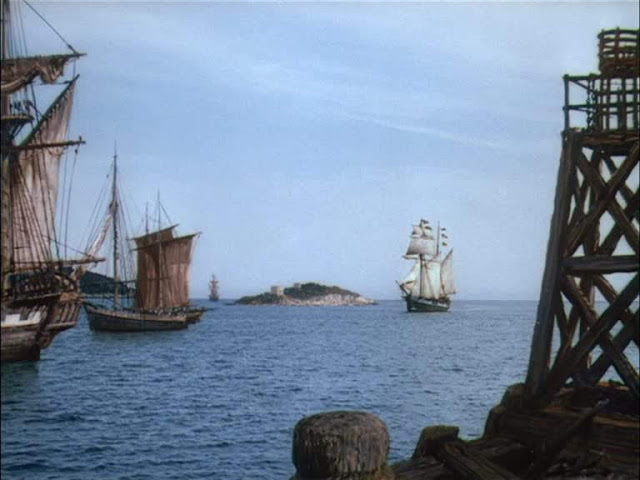 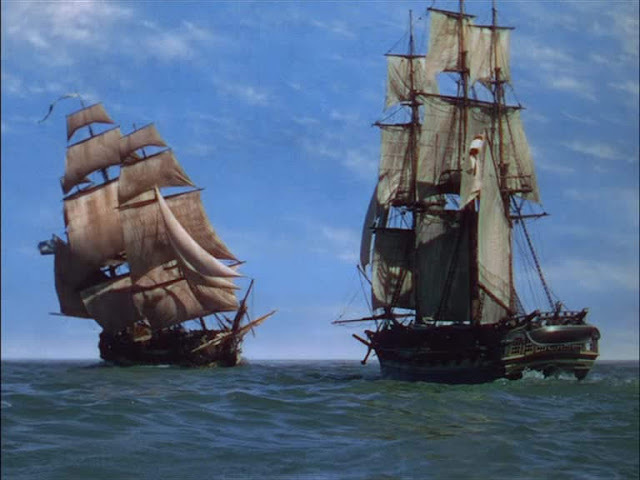 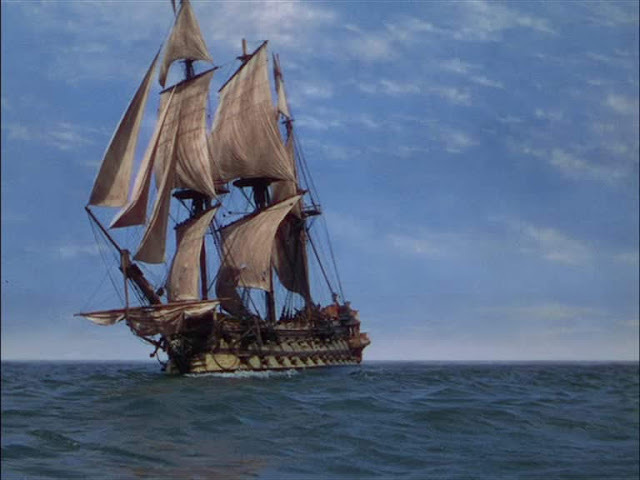 For example, the guns in French ships were bronze, and sure enough, the French guns in the movie are bronze. The costumes are excellently detailed. The frigate Lydia is drab weatherbeaten thing with dirty wales and cluttered decks. 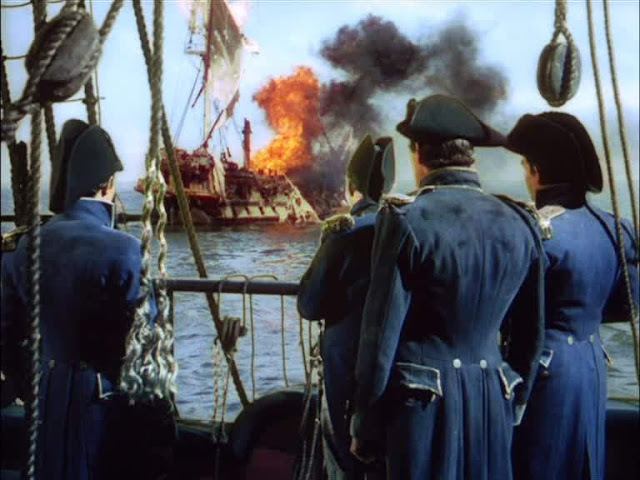 The seamen are wearing filthy pants with rips in the seams of the seats. 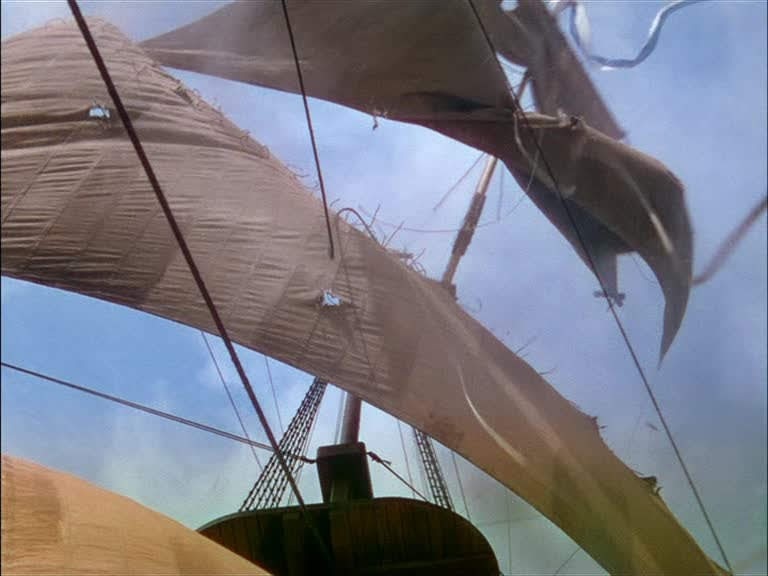 Obviously great care was taken to get the visual details as realistic as possible, except of course for the blood and headless corpses which would have been the natural adornments of ships in battle. 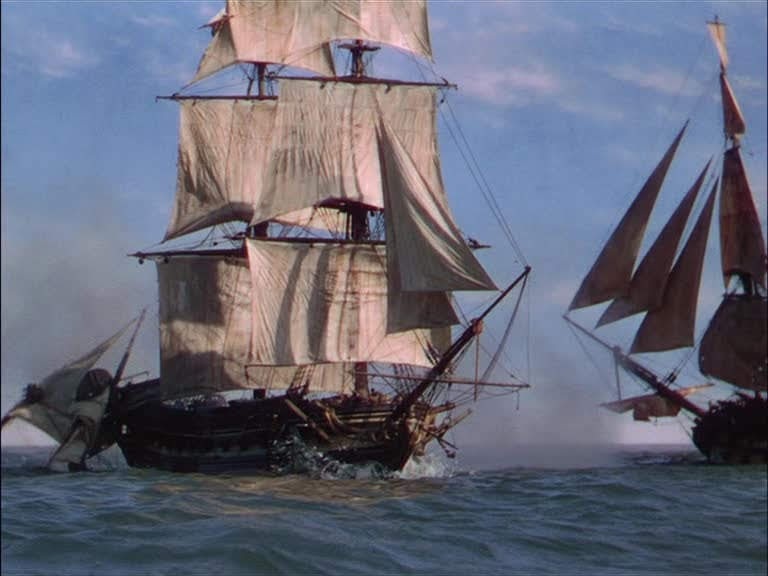 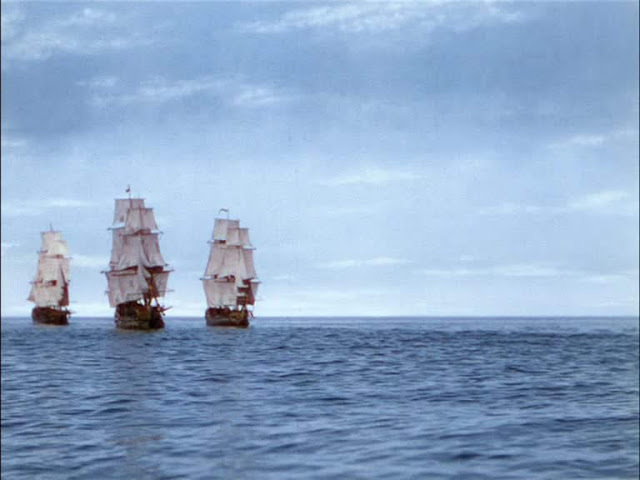 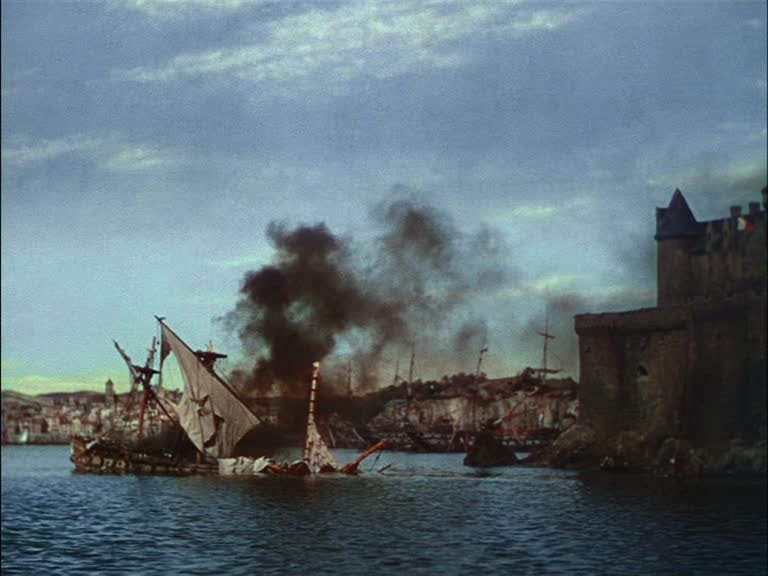 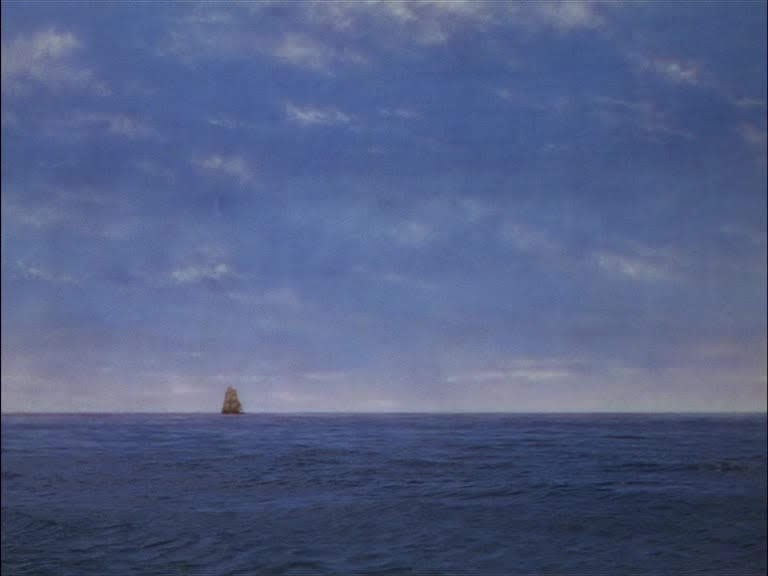 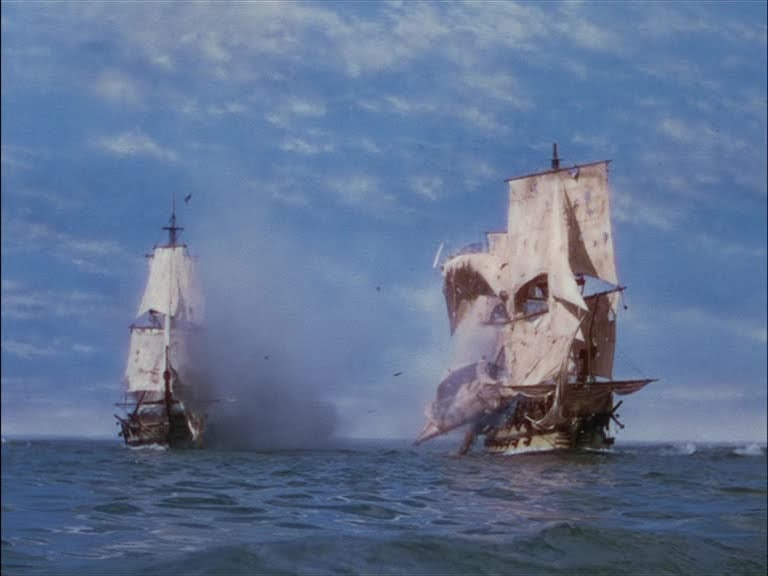 Ironically, despite the effort made to make the movie visually authentic, it is cringeworthily bad as a drama, with characters providing exposition about the course of the sea battles for the benefit of the audience, and thus saying things that no real person ever would. Also, warships of the time had top speeds of about ten miles an hour, and yet ships just sort of pop out of the ocean within gunnery range when the plot requires a battle. 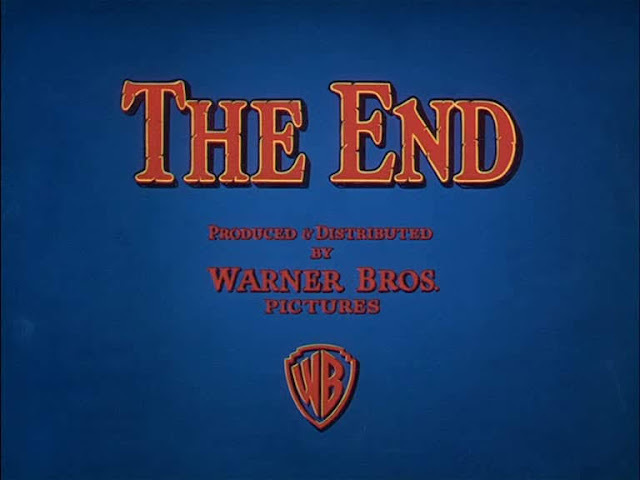 But a great movie despite its flaws. 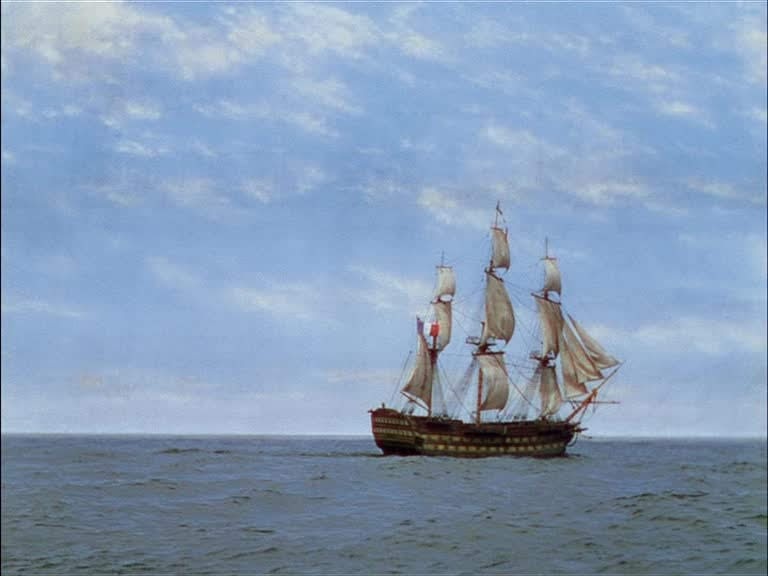 Forrester claimed that he based Mr. Midshipman Hornblower on old documents he discovered. 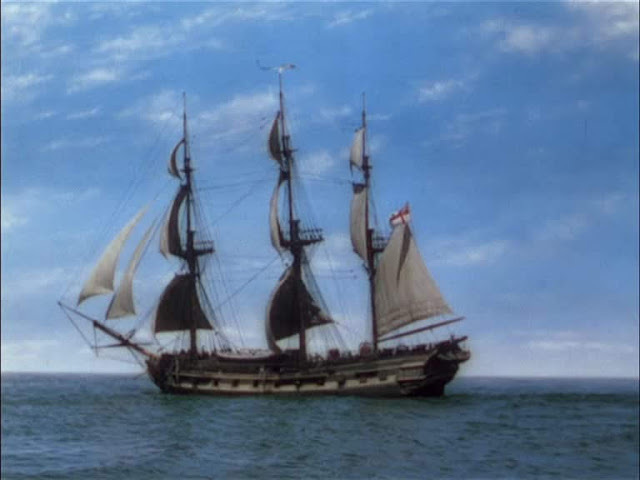 In fact,he must have found a copy of "Mr Midshipman Easy" written by Captain Marryat, R.N. 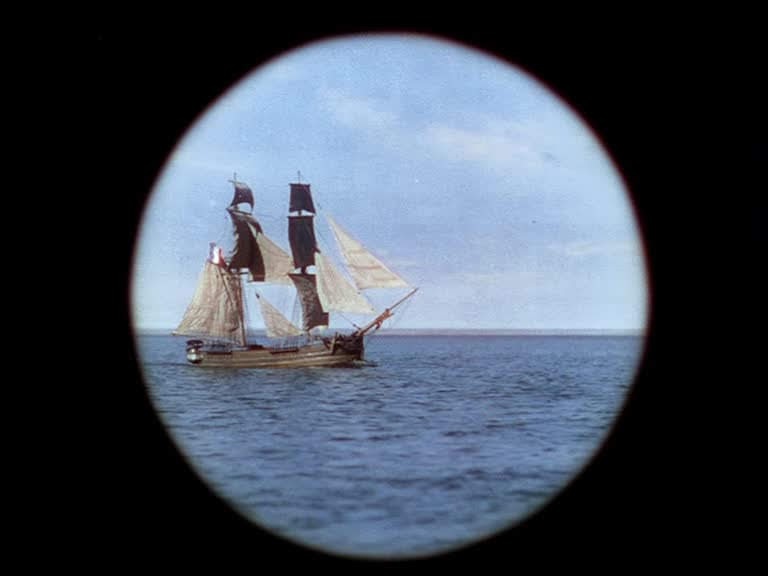 in the early 1800's.- a direct crib of an excellent story based upon Capt Marryat's own experiences. 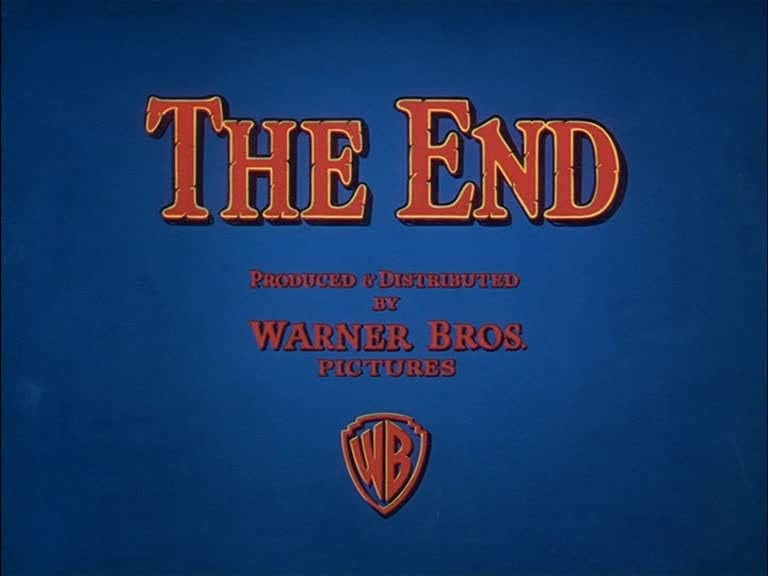 Great movie saw it when i was eleven years young and am watching it again at age 78 67 years.